USB flash drives let you take files from A to B with ease, and with big amounts of storage available for small prices it’s a cost effective choice too. 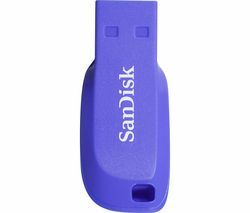 The price of a USB flash drive, starting at under £5,will vary mostly depending on the storage size of the USB stick, which for the majority ranges from 8gb to 128gb. An 8gb USB flash drive will hold around 2000 songs or 2500 photos, making them good for small media collections or for business use. Since they first came onto the market, the humble USB stick has seen some important changes, namely in security and speed. If you’re storing sensitive business information, or wanting to keep your private data as private as possible, a USB stick with password protection will keep you safe. 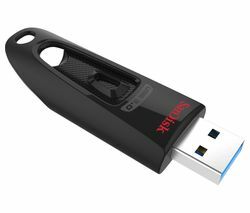 For a faster product, take a look at our USB 2.0 flash drives, which are up to 40 times faster than a regular USB flash drive. If you want to get really smart with your data storage then a PNY USB flash drive could be just the bit of kit you need. Take the PNY DUO-Link for iPhone & iPad for example, a fantastic data storage card which plugs into an Apple Lightning connector on one side and a standard USB on the other. Moving between your iOS device and your mac or PC couldn’t be easier. Whether you’re looking for a simple USB stick or a shed-load of storage, our range of flash drives have everything you need to dominate your data.